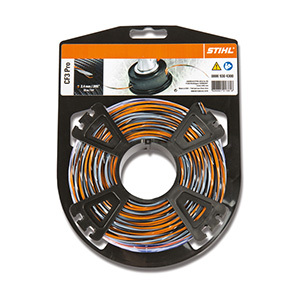 Innovative mowing line with a high-tech profile from STIHL. 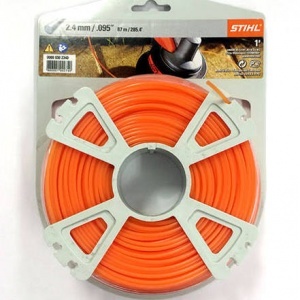 Made from high-quality polyamide with a three-component design, this mowing line benefits from a longer service life. 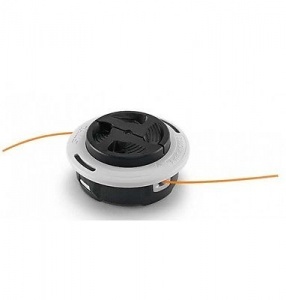 The common whistling noise associated with mowing line is reduced with the CF3 Pro, courtesy of its twisted shape, while the cruciform profile gives excellent cutting performance and a sharp finish. 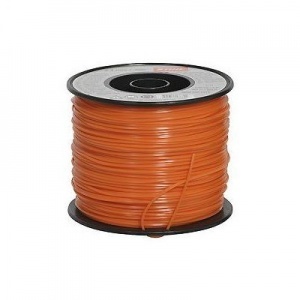 This is 2.4 mm diameter line supplied in a 70 metre reel, able to fit the AutoCut C 6-2, AutoCut 25-2, AutoCut C 26-2, SuperCut 20-2, SuperCut 40-2 and DuroCut 20-2 mowing heads (among others, please contact us if in doubt). 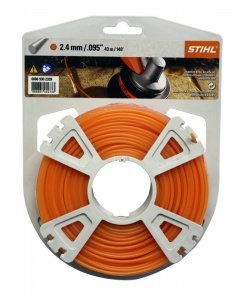 An automatic feed mowing line head from STIHL, this accessory is designed for robust, optimal gardening and boasts a new design with an easy loading mechanism. 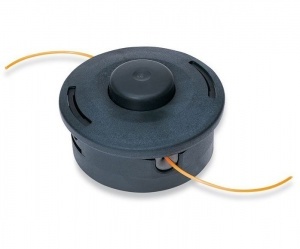 Perfect for cutting vegetation down to size, this square profile mowing line is 2.4 mm thick and is supplied here in a 261 metre reel. 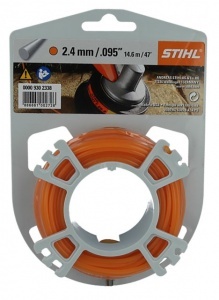 A genuine STIHL part.